21 Amazing places to be thrilled of in Chennai! Home Destinations 21 Amazing places to be thrilled of in Chennai! Chennai which was earlier known as Madras is one of the metropolitan cities out of the four, capital of the South Indian state, Tamil Nadu. The highlights of the beautiful city include extended, beautiful beaches and ancient temples embellished with exceptional divine sculptures of carved Gods. Every corner of Chennai has something to explore out-of-the-box. Whether you talk about beaches, temples, lakes, national parks, the bird sanctuary. This is the reason why Chennai because of its stunning beauty is in every traveler wish list. Marina Beach and Elliot’s Beach are some great examples of the beaches to spend the relaxation time. The eye-catching sunsets on the spectacular beaches in Chennai are something that you can’t miss! Have a look at some astonishing places of Chennai showing a great class of architecture, the diversity in wildlife and many more. 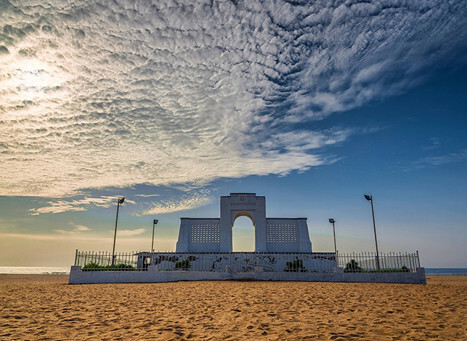 Marina Beach, Chennai, is India’s largest beach which spans from Fort St. George to Besant City. For sunrise lovers, the best place to visit. It’s one of the must-visit attractions in Chennai. The sandy pleasure is being decorated with palm trees on one side. On the southern end of Marina, an old lighthouse stands alongside many other structures including an aquarium, a swimming pool, and a park. From kite flying to ride on ponies, and food stalls, every single thing will fill you with amazement. Fun things to do: Exploring aquarium, ice house, kite flying, pony riding, and authentic seafood. How To Reach: From St George Fort to Besant Nagar, the Marina Beach is present. One can hire a taxi and take the North Beach road which takes you to the beach, running parallel to it. Chennai City Center is the landmark near Marina Beach. 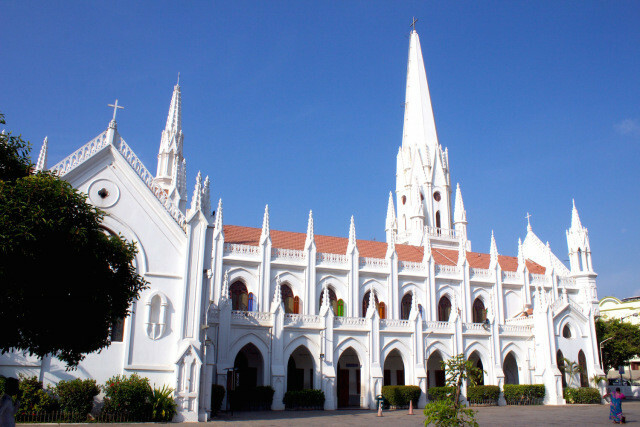 Nearby Attractions: St. Thomas Mount National Shrine, Ramakrishna Temple, Chennai Citi Center. Situated 40 km from Chennai on the coast of the Coromandel, Covelong Beach is famous for its beach activities and the undisturbed and calm beauty around it. Once a big harbor, you will find the beach on the way to Mahabalipuram. Covelong Beach is jammed with mostly water sports activities like windsurfing and swimming. Ancient monuments like forts, churches, and mosques are the center of attraction apart from the town of Mahabalipuram. The Crocodile farm in Covelong Beach is a well-recognized destination for a joyous outing in the daytime. How To Reach: The best way to reach Covelong beach is by road via Kotturpuram. Things To Do: A lazy walk through the numerous forts, churches, and mosques. The adventurous activities include windsurfing and swimming. Nearby Attractions: Dr.Arun’s Photography And Vintage Camera Museum, DakshinaChitra Museum, ISKCON Chennai, Sri Sri Radha Krishna Temple, Muttukadu Lake, Tiger Cave. 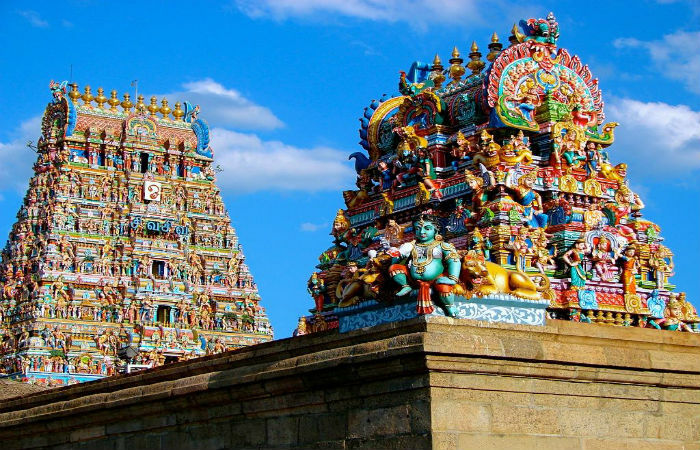 Sri Parthasarathy Temple is one of the historic places to visit in Chennai, considered the oldest in this city. The temple is devoted to Lord Krishna, One can have the pleasure to see its glorious colorful gopuram aloof from other shrines that stand within the temple grounds. It’s one of the top places to visit in Chennai. Air – Chennai international airport is 7 km away from Chennai. Anna terminal receives international flights from different major cities in the world. Kamaraj terminal, which is at a distance of 150 metres from the Anna terminal receives domestic flights connecting Chennai with major Indian cities. Rail – Chennai Central and Chennai Egmore are the major railway stations in the city. Road – Numerous national highways from Chennai are connected with Bengaluru (330km), Trichy (326km), Puducherry (162km) and Tiruvallur (47km). You can use hire cab or state transport buses to reach this place. Nearby Attractions: Hameedia Shopping Mall, Express Avenue Mall, Ramakrishna Temple. 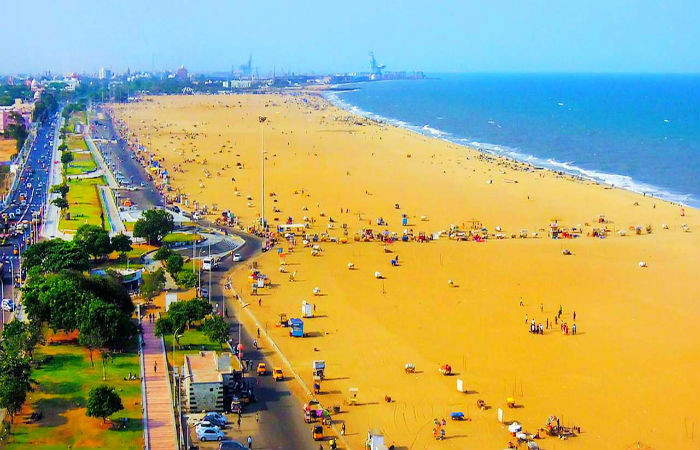 Elliot Beach is now known as Besant Nagar Beach which is less crowded than the popular Marina Beach. The southern side of the seafront occupies the ancient temple, Ashta Lakshmi Temple, and Velanganni Church, which are known amongst the locals. A memorial which was built in the memory of a Dutch sailor, Karl Schmidt, known as Schmidt Memorial is a famous place to draw your attention in Elliott Beach. Nearby Attractions: Ashtalakshmi Temple, Light House, Indian Institute Of Technology, Madras, Aarupadai Veedu Temple, Besant Nagar Beach. For the Christian community, San Thomas is an important religious place, a bright white structure stands on St Thomas’s tomb. This structure, which is reminiscent of the city’s colonial past, has stained glass windows and St. Thomas’s statue in a sitting position. Within church premises only, you will get to meet, a museum, a library and a shop selling prayer material. How To Reach: Situated in Mylapore; Located on Santhome High road at the point where the Kutchery road turns to Kamarajar Salai, near St Bede’s Anglo Indian Higher Secondary School. One of the best places to see for your architectural splendor in Chennai is this mosque, which holds a special place in the Shia community of Muslims. A total of 1000 oil lamps illuminate the hall of the mosque, thus its name has been found. 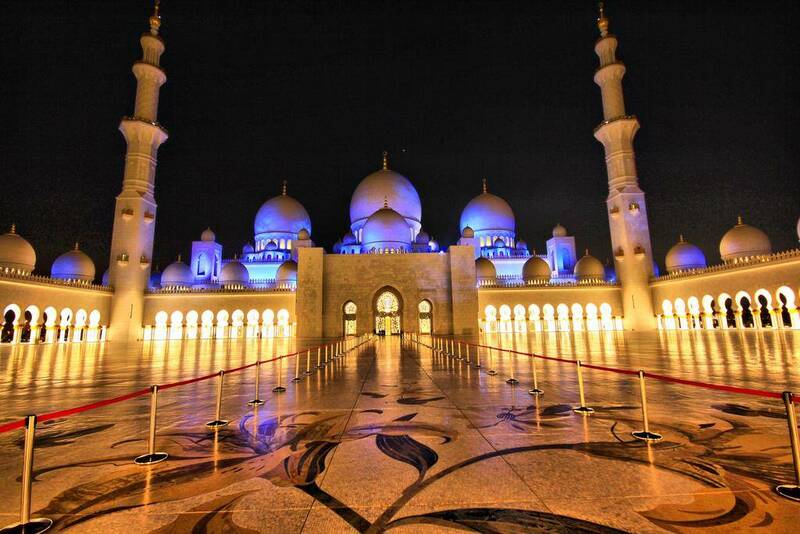 Its multi-domes and twin towers are attached in the main hall where men offer their prayers. There is a separate hall for women. Built in the late 19th century, the Connemara Library is a jewel house for bookworms having centuries-old publications. It’s one of the incredible places to visit in Chennai. A conglomeration of more than 60,000 books that what contributes to one of Asia’s largest libraries. Whether it is an enthusiastic reader or a scholar working in research, a fascinating world of books where people can easily immerse themselves in their favorite activity. How To Reach: The nearest railway station is Chennai Central, which is located 3 km from the library. Apart from this, Chennai International Airport or MMA is located 26 km away. You can rent an autorickshaw, rental taxi or public bus to reach this place. The one and only national park situated in the middle of a city, Guidy is home to several birds, animals, and reptiles. You will also find blackbucks, spotted deer, jackals, turtles, and favorites. 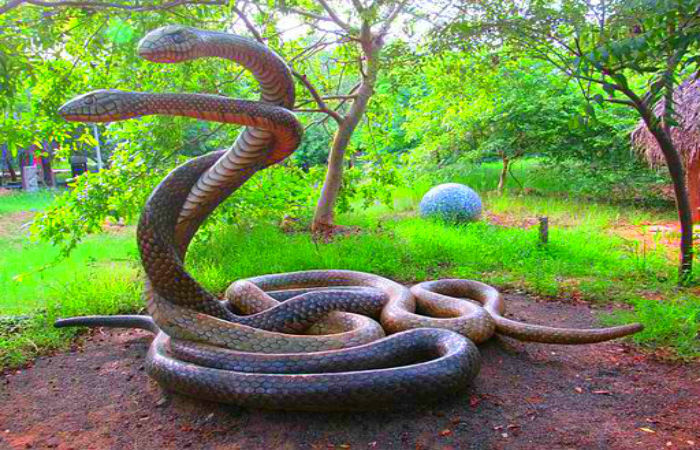 Snake Park gives shelter to Cobras and Pythons, while the birds found here include partridge, quail, Flycatcher, and buzzard. It is one of the few places to go with the family in Chennai. Timings: All days of the week, 9 am to 5:30 pm, Closed on Tuesday. Things to do: Stroll through the lanes and pathways, sit, relax amid the emptiness of the wild, bird watch. Air – Chennai Airport is the nearest one which has both domestic and international terminals thus connecting major cities within and outside the country. Chennai Airport is 8 kilometers away from the park. Rail – Guindy station (Suburban Track) is the nearest railway station which is 1 km away. Chennai Central Station is 12 km away and 9 kilometers from Chennai Egmore Park. Road – Take 100 feet Bypass road and you’ll reach the park. When you are in Chennai, this is another place that is important to you. It is one of the oldest courts in the city. The court is located at N Fort Rd, Parrys, George Town, Chennai, Tamil Nadu. For those who have some interest in judicial discussions and learning about different courts, this is a place where you should pay a visit to Chennai. 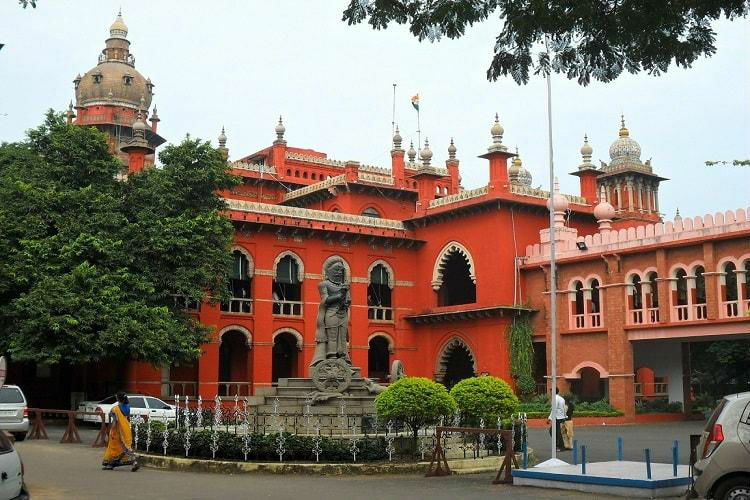 Madras High Court is one of the highest courts in India. The court uses the original jurisdiction throughout the city. Altogether there are 74 judges in the court, who help in the proper operation of the jurisdiction. When you are in court, you are amazed by the court’s wonderful architecture. adorned roof and stained glasses are a masterpiece in itself. How To Reach: Located at a distance of 15 Km from Chennai Railway Station. From here you can opt for public transport to reach the premises. Auto, buses, and cab services are available here. Welcome to the central and cultural center point of Chennai to avail the exotic destinations.it is known as the oldest residential area and the place is historically known as Vedapuri. The place is just a few kilometers to the south of the city Mylapore is now one of the most visited places in Chennai. Some of the best places to visit in Mylapore are Adi Kesava Perumal Temple, Kapaleeswarar Temple, San Thome Basilica etc. How To Reach: In Mylapore, Kapaleeshwar Temple is located. This place is well-connected to Tamil Nadu bus services. You can even take an auto or a taxi to reach Mylapore. This temple is located near the Mylapore tank and Hotel Saravana Bhawan at North Mada Street. Vivekananda House is a place where a must visit label is required. 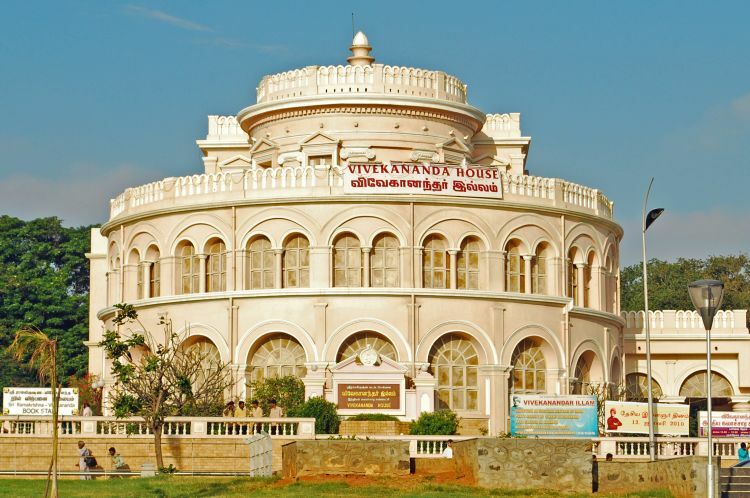 Vivekananda house is situated at Kamaraj Salai(Marina beach road), Neelam Basha Dargapuram, Near Triplicane, Chennai, Tamil Nadu. This home is one of the important landmarks in Chennai, which is associated with Sri Ramakrishna Math since 1897. Here Swami Vivekananda stayed for 9 days after he returned from the west. Every year the place is full of tourists. Nowadays this historic place has a permanent exhibition on the life of Indian culture and Swami Vivekananda. Timings: 10.00 AM to 1:00 PM and from 3.00 PM to 7.00 PM except for Mondays. Arignar Anna Zoological Park, located 35 km from the city center, is one of the places to visit in Chennai with your kids. The long stretched grounds of the zoo are inhabitants of 1500 species of wild beings, out of which some are even endangered. An aviary (where birds are kept), a lion safari, a deer safari, and an elephant safari are the popular attractions of the zoo. There is a separate zone for night-loving animals, an aquarium, and a butterfly house too. Fun things to do: Visit Aquarium, deer safari, lion safari, and prey-predator enclosure, nocturnal animal house, snake house, butterfly house, white tiger exhibit and waterfall entrance. Air: From the park at a distance of 15 km, Meenambakkam airport is the nearest airport. The airport has both domestic and international terminals and there are regular flights connecting Chennai to the major cities of the country. Rail: Vandaloor station is the nearest railway station (which also has a city bus terminal) 0.5 km away and other is the Tambaram Railway Station which is 6 km away. Road: On the eastern side of GST Road near Vandalur, the park is located which is 33 km from Chennai Central Railway Station. From different parts of the city, there is a direct service to Vandalur. Outstretched over an area of 20 acres, the Semmozhi Poonga Park is a botanical garden. Taken care by the horticultural department, is an ideal place to visit in Chennai with family. An exception to the exotic and rare flora grown, there are also some medicinal herbs in the greenhouses of the park. Visitors can have a relaxing moment on the park’s ground filled with water and rock garden, a butterfly garden, a fern garden, a caved-in garden and you will get to meet many other themes of the gardens. How To Reach: Semmozhi Poonga is located on Cathedral Road – Anna Salai junction in Teynampet. As the garden is located in the middle of the city, you can easily hire a taxi or board a bus from any part of Chennai. Came into action in order to preserve and protect the reptile species. The Crocodile Bank which gives housing roof to alligators, snakes, sea turtles and water birds. Overall, there are 2500 animals within the Crocodile Bank’s region, and during the day, on the side of the water body, you can see the crocs along with the ghariyals having a sunbathe. There is a shop where anyone can buy books and remembrances related to these reptiles. How To Reach: Madras Crocodile Bank Trust is situated on the outskirts of Mamallapuram/Mahabalipuram. Then head towards the Mahabalipuram on the East Coast Road to reach the Crocodile Bank. This delightful park, located on the eastern coast road, is a great entertaining place for young and old people. 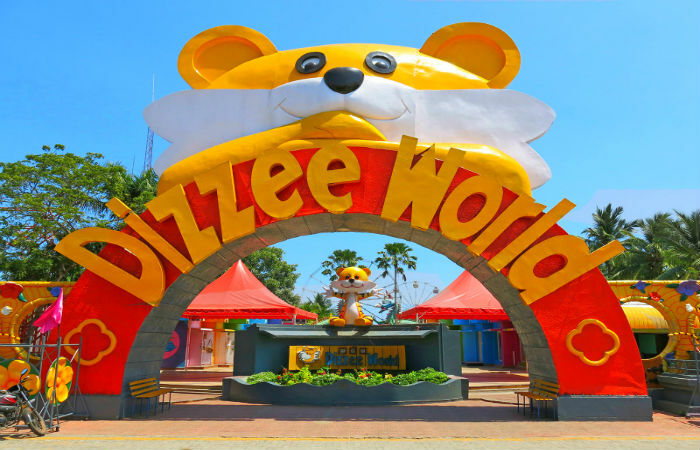 With an amphitheater for performances and many thrilling rides, the Dizzee World welcomes you. In the water park, there are several other rides and slides besides a wave pool. How To Reach: It is located approximately 35 km from Chennai, along with East Coast Road. Buses going to Kovalam and Mahabalipuram stop at MGM Dizzee World. So you can use the public bus to commute. However, if you prefer to travel by train then the nearest railway station is Velachery. From there you can take a bus for MGM Dizzee World. 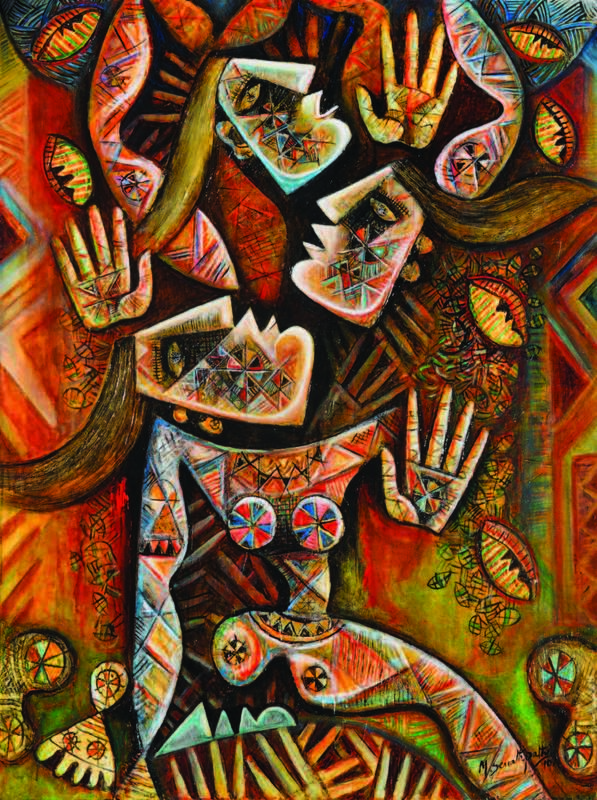 This artist community is a platform for residential painters and sculptors to display their finesse to the visitors. Located in Injambakkam village, on the border of Chennai, there are two galleries, an open-air theater, a bookstore and a craft shop in Cholamandal. Those who are fond of art and craft, this destination with a tranquil atmosphere will be an ideal place to visit. How To Reach: In Injambakkam village, Cholamandal Artists’ Village is located. Hire a cab and head towards ECR Link road leading on to East Coast Road. After you reach the Karthik Nagar, you’ll easily reach the village. 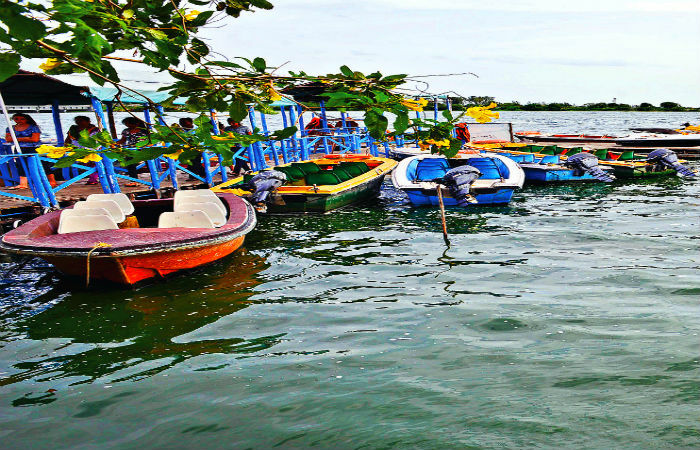 Originated from the backwater area of the Bay of Bengal, Muttukadu is one of the tourist destinations near Chennai, where one can enjoy the water sports. With a handful of facilities, it includes a restaurant and a large number of boats, it can host visitors all year round. The boathouse in Muttukadu is the center of attraction, and also the home for many migratory birds. You can enjoy rowing, water skiing, speed boat riding, windsurfing and paddle boating in Muttukadu. Things To Do: Rowing, windsurfing, water skiing, and speedboat riding. By Car – Via East Coast Road, The distance between Chennai and Muttukadu Boat House is 34.6 km and can be reached using three routes. The shortest route includes driving through East Coast Road. Another route goes via Anna Salai/Mount Road and E Coast Road. And the last route follows Anna Salai/Mount Road, Old Mahabalipuram Rd/Rajiv Gandhi IT Expressway and E Coast Rd. By Bus – Between Chennai and Muttukadu Boat House, frequent buses are available. Most of the buses head towards Pondicherry passing the boathouse on the way. The place is designated with ancient mountains, Mahabalipuram, also called Mamallapuram, is one of the places to visit near Chennai. 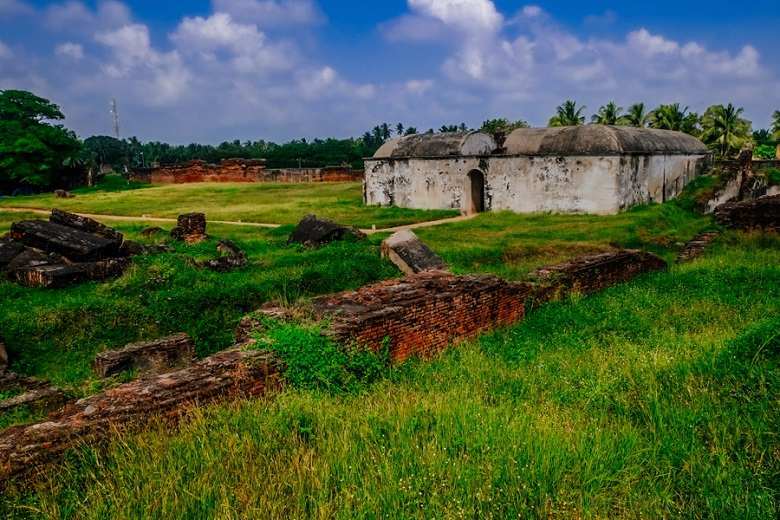 Located about 60 km south of Chennai city, it was once a busy port during the Pallava dynasty. The iconic shore Temple is one of the oldest temples in South India. A short distance from this place of worship is ‘Descent of the Ganges’ or ‘Arjuna’s Penance’. From one of the world’s biggest bas-reliefs, it features the story of the descent of the River Ganges from Heaven to Earth. ‘Pancha Rathas’ or the five chariots are carved out of a rock and are dedicated to the Pandavas. You can also relax at the beaches here. Best experiences: Explore the historic monuments like Shore temple, Arjuna’s penance, Rathas, and the Tiger’s Cave. It’s an ideal picnic spot too. Tip: If possible, try to convince any local to take you into the sea and to the new temple that was hit by a Tsunami. By Air – At a distance of 52 Kms, the nearest airport is Chennai Airport to Mahabalipuram as Mahabalipuram doesn’t have an airport. the airport is well-connected to major cities Delhi, Mumbai, Bangalore, Pune, and Kolkata. From there, Taxi/cabs and buses are available from the airport to reach Mahabalipuram. Rail – At a distance of 22 Km, Chengalpattu is the nearest railway station here. Bus – Plenty of bus services are available via both Tamil Nadu Public Transport Services and private tourist buses (working from Chennai Central) to Mahabalipuram. The town is well connected with Chennai via East Coast Road (ECR) and Old Mahabalipuram Road. Road – Hire a cab or taxi to Mahabalipuram. 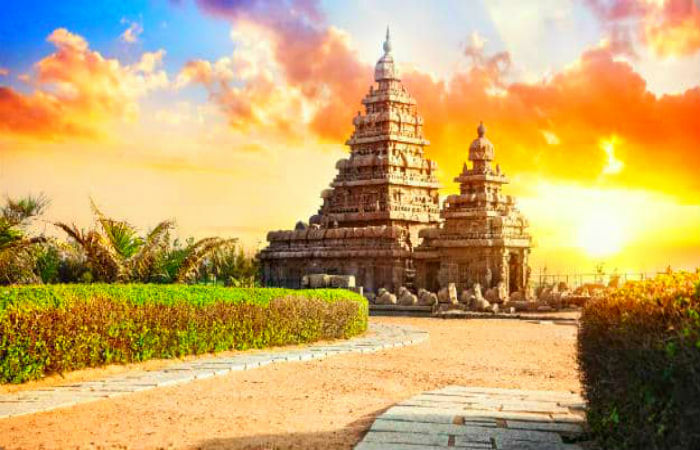 One can easily get cabs via various travel agents available in places such as Chennai, Bangalore, Pondicherry at economical tariff rates to visit Mahabalipuram. This bird sanctuary is overwhelmed with thousands of birds of diverse species during the migratory season. Within the Sanctuary, the lake is the most important source of water for these creatures, around which they build their nests and grow. some birds like cormorants, egrets, moorhens and terns you will find at other places in India, others like snake bird, ibis, stork, heron, and spoonbill migrate from Europe to Vedanthangal to reside here for a few months. Entry Charges: Rs. 25 per adult and Rs. 5 per child. Parking Charge: Rs. 10 and the camera fee is Rs. 25 only. Air – At a distance of 58 Km, Chennai is the nearest airport to reach the place. If you are coming by rail then Chengalpattu is the railway station, which is around 30km away from the place. Rail services from Delhi, Mumbai and Chennai are on a daily basis. Road – You need to drive through national highway no. 45 and come towards Padalam Junction. You can also reach the place from Kanchipuram and Mahabalipuram. Bus – Bus services are available to reach the sanctuary from the city of Chennai, Mahabalipuram, and Chengalpattu. 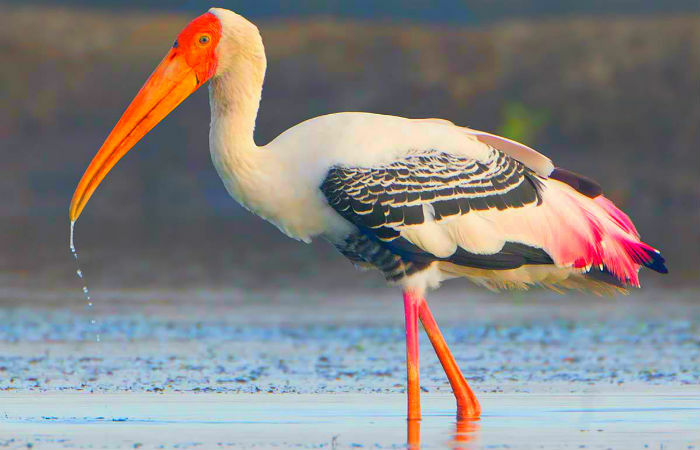 Pulicat, formed by the backwaters (the water held back by a dam or any other obstruction) of Bay of Bengal, Pulicat is India’s second largest lagoon with saltwater. And the bird sanctuary stands on the piece of land in the middle of this lake. You will be amazed to see thousands of flamingos flocking together only at this place in Chennai. 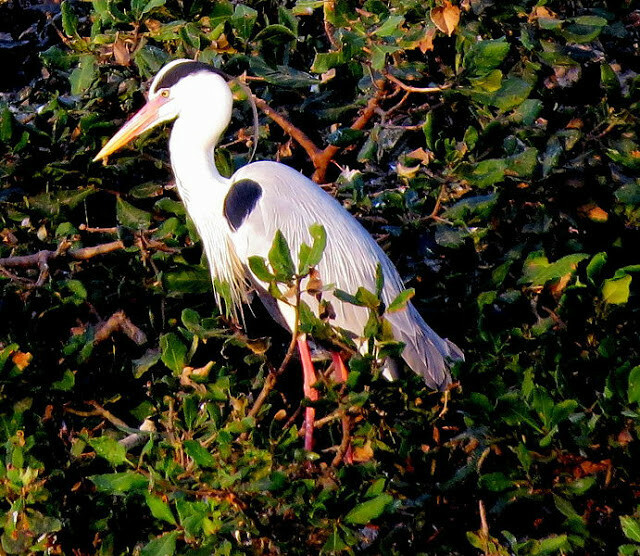 The bird sanctuary is also home to pelicans, herons, kingfishers, storks, and many more species. The coastal city of Sadras was once a Dutch fortress, which the British had taken over in later years. It is presently in ruins but still, some structures can be seen. You can enjoy a picnic with family and friends on its beach after touring the fort. It’s one of the best Chennai attractions. How To Reach: Prefer road trip on the ECR via Mahabalipuram. Things To Do: At the beachside, just sit and relax.